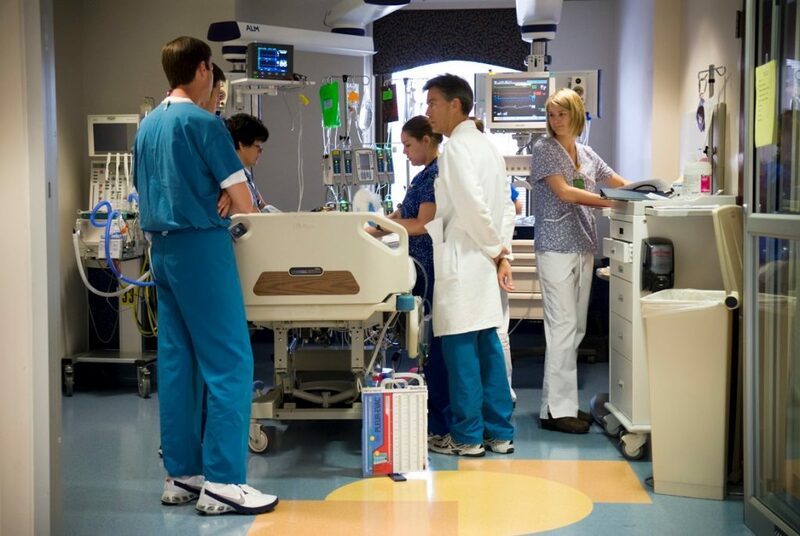 YOUR INTENSIVE CARE HOTLINE - The ICU Team is Doing Brain Death Testing to my Wife. Why are They Aiming for Withdrawal of Treatment Even Before the Test is Completed? The ICU Team is Doing Brain Death Testing to my Wife. Why are They Aiming for Withdrawal of Treatment Even Before the Test is Completed? In this week’s episode of “YOUR QUESTIONS ANSWERED” I want to answer questions from one of my clients Francis as part of my 1:1 consulting and advocacy service! Francis’ wife is in a critical condition in the ICU and she is asking why the ICU team is aiming for withdrawal of treatment for his wife even before the course of brain death testing is completed. Francis: I had a meeting with a staff and she said she would do no surgery. Patrik: Okay and when was that? Today? Yesterday? Patrik: Right and how did that sort of unfold? They asked you to go into a room and they say down with you, is that how it unfolded? Francis: She came into my wife’s room and told what they wanted to do. And she let me know that that was pretty much the only thing left they could do. Patrik: So she said the only thing they have left to do is the brain death testing, is that what you said? Francis: Yes, but she says they don’t have to do it. Patrik: No, no, no. Not at all, not at all. They’re telling you lies and clearly what they want is, you know, as I said sorry if I sound like a broken record, they’re trying to avoid their worst-case scenario. And their worst-case scenario is to look after a patient indefinitely with an uncertain outcome. That’s their worst-case scenario and they’re trying to avoid that at all cost. You see the other thing that’s highly inappropriate in a situation like that is if they’re having this conversation at your wife’s bedside, that’s a highly inappropriate conversation to have at the bed side. Your wife might hear that, it’s highly inappropriate, you need to stop them from having those conversations in front of your wife. Patrik: I mean imagine you’re a patient there in ICU, yes they’re claiming your wife is brain dead but there is no evidence for that. Your wife might hear that conversation. Highly inappropriate. Do you feel intimidated and under pressure? Patrik: Okay. It needs to stop. It’s never what you’ve been told, it’s never what you’ve been told that determines the outcome, it’s how you react that interprets the outcome. So you are responding to a difficult situation but your response is way more important than what you’ve been told. Your response is critical. They can tell you all sorts of things, you have no evidence, they haven’t shown you any evidence. A CAT scan doesn’t mean anything. Patrik: How much research have you done? Is this the first time you’ve come across our website? Francis: Yeah, this is my first time. Patrik: Right. Are you a subscriber to our free email newsletter? Patrik: No, that’s alright. I’m just trying to find out how much research have you done, how many case studies have you read on our website potentially. Really different for everybody that rings, some people they have been on our website for days and weeks sometimes and then they ring. That’s fine, that’s fine. So what I would like to do next is I would really like to send you the consulting options, we can start very quickly. How this works is I would send you the consulting options in an email. You can just click on the checkout and follow through from there. And then we can start very quickly. Francis: Okay, I have more concerns. Francis: Does being her husband automatically qualify me as power of attorney or is that something we would have had to have written? Patrik: Say that again please. Francis: Does being my wife’s husband automatically qualify me as power of attorney or would we have had to have had it written? Patrik: Yeah, yeah. Is there anything documented? Or let me ask a different question. Have you given consent to any procedures that have happened to this point? Patrik: And you have signed papers in order to give consent or- ? Patrik: Right, yeah, that qualifies. Yeah absolutely that’s good. Because then you are the medical power of attorney. Because if they’ve asked you to sign for consent for any procedures then you are the medical power of attorney. Or is there anybody else that you think might come into the mix who might say, “Oh, I’m actually the medical power of attorney.” Do you think there’s a parent or potentially a sibling that might- ? Patrik: No, right, right. So you don’t think there would be anybody else within your family who might claim that position? Francis: Her brother is here. Francis: I don’t think that will happen with him though because they’re not asking him any questions, just me. Patrik: Yeah, yeah, no, no. That’s good and that’s … in a situation like that I mean nine times out of 10 it’s the spouse who’s the medical power of attorney but there are some situations sometimes that I come across where all of a sudden there might be a parent claiming power of attorney or potentially a sibling, sometimes a child. But nine times out of 10 it’s the spouse in a situation like that. Francis: So, at this point you will email me the information? Patrik: Yes, what’s your email address? Patrik: Hi, Francis. It’s Patrik here from Intensive Care Hotline. Patrik: Okay. So, tell me what’s happened. Did you say tomorrow they’re doing the second round of brain-dead testing. Is that what you mentioned earlier? Francis: Yes. Today they did just like a manual one where they come in and they check his pupils, and they squirt some water right underneath the ear and things like that. Patrik: Did you support this first round of testing or did you object that? Francis: I objected it, and they said … I tried to get him transferred. I couldn’t get him transferred to another hospital, so they came back to do it. Patrik: Okay. And why couldn’t you get him transferred to another hospital? Was there any particular reason? Francis: They said that in order for me to do that, that the physician there at the hospital we’re at had to talk to the physician where we wanted to transfer. And the other hospital stated that they couldn’t do anymore for us than what the hospital that we’re currently at did. Patrik: Okay. Why did it take a week for them to do that first round of brain death testing? Because I do remember when we last spoke … I can’t remember … It must have been last week or something. Because I remember you were saying they wanted to do it the next day, which would have been at some point last week. Why did it take so long for them to do the first round of testing? Francis: Okay. Because my wife’s kidneys were failing. He wasn’t putting out any urine, and they wanted to do dialysis first because they wanted to make sure that they could rule out that as the reason for why he wasn’t responding. Patrik: Right. Okay. Okay. And your wife has been off sedation for over a week? Do you know what I mean by sedation? Patrik: Okay. Do you know exactly when they stopped sedation? Francis: They said they never used any. Patrik: Okay. Okay. Now that’s fair enough. Have you asked for any protocols in there? Patrik: Yeah. Do you know what I mean by that? Patrik: Okay. And this is really where it gets important. Sorry. And probably another question that I need to ask … Have they used the term “withdrawal of treatment?” Have they used that term? Francis: Yes. She said after second test, that they would cut off the ventilator. Patrik: Okay. Okay. Is that what they said exactly? Is they said they would disconnect the ventilator or have they said they would withdraw treatment? Francis: Okay. Her statement was … I said, “What happens after the second test?” She said, “And then if the other test comes back confirming the first test within the 24 hours … So that’s like tomorrow afternoon. Then they would have the right to take him off the ventilator and that they would. Patrik: Okay. Okay. Who is doing the testing? Do you know? Francis: Yes. The testing that was done today was done by the nurse practitioner and the lead nurse. The lead doctor, rather. And tomorrow, it’s going to be the neurologist, right? Patrik: Are you saying the nurse practitioner is doing the testing? Francis: She was a part of it. Patrik: That’s terrible. I’m a nurse myself, right? That is never a part of a nurse’s job. And I do remember you mentioned that last time that this nurse practitioner seems to be in the picture, which frightens me. It sounds to me like she’s the spokesperson. Would that be fair to say? Would that be accurate to say? Patrik: She’s the spokesperson, we’ll say. When you’re getting updates, how is that happening? Is that sort of happening in a formal way? Are they sitting you down? Is that sort of happening in an informal way? How is that sort of happening? Francis: They normally just show me what they’re gonna do. Francis: They usually just come to the room, and then they tell me what they’re going to do. Patrik: Okay. Okay. And that is usually always the nurse practitioner? There’s nobody else? Francis: Yeah. It’s usually her or if I ask to see a certain team of people, then … Yeah. And then sometimes, in the past, it’s been the kidney doctor. Patrik: Okay. Who do you think is driving this in the background? Because it’s not the nurse practitioner. The nurse practitioner is just the messenger. But who do you think is driving this in the background? Francis: Probably the lead doctor. Patrik: And who is that? Who is the lead doctor? Francis: It’s a male. I met with him, actually. And he was the one who was telling me that I didn’t have any, really, any options. Patrik: Okay. Is this a neurologist? Is it an intensive care consultant? Do you know? What’s that person’s qualification? Do you know? Francis: No. Actually, just a physician. Francis: Oh. I’ve got his card. It should be right on here. I can find it. Patrik: I think it would be important if you can find out that person’s qualification and who … Is he the neurologist? Is he the intensive care physician? It would be important to find out. I would imagine it’s the intensive care physician. I would imagine that. Okay. And this is where it gets important, Francis. Whenever it comes to end-of-life decision making, okay. They have to follow protocols and guidelines, okay. And they have policies and procedures that they have to follow when they potentially withdraw treatment. But also, when they do brain-death testing. So, there’s two things we need to ask for. Number one is their withdrawal of treatment policy. Okay? That’s number one. And number two, is we need to ask for the brain-death testing policy. Are you there? Can you hear me? Francis: Yeah. I’m here. I’m writing it down. Patrik: Oh, okay. I see. I see. I’m also recording this phone call, and I can e-mail you the recording, as well. Patrik: Okay. So, the withdrawal of treatment policy is important, and the brain-death testing is important too. Here is another question for you. When you’re at the bedside with your wife, does he show any response at all, as far as you can see? Let me ask you another question. Are you a religious person? Do you believe in God or does your wife believe in God? And I’m not putting any judgement on this, but I’ll tell you why this could be important. Francis: Yes. She’s a minister. Patrik: Okay. The reason this is potentially important is there are some new … What’s the word? Movements, probably. Especially in the United States, at the moment, where people can object on religious grounds, right? Some people’s point of view is that if there is brain death, that the person is considered dead, right? And even the law, in some states, support that. But there have been some latest developments that people can object that on religious or even cultural grounds. Patrik: Right. And it really comes down to the individual what they believe. I’m not putting any judgement on it, one way or another, right? But it is important to know that this could also be an avenue to buy time. Am I making sense so far? Patrik: Okay. The next two important steps are the withdrawal of treatment policy and the brain-dead policy. The brain-death testing policy, I should say. Now, the people who did the testing today, who were they? Francis: The nurse practitioner. There was like a student. Francis: Yeah. She’s like a student, right? She was just observing. It’s a training hospital, also. Patrik: Sure. So are you saying the nurse practitioner and a student doctor did the testing? Is that what you’re saying? PODCAST: The Doctors asked us to stop treatment, but I gave my father in ICU a chance instead! I don’t think the ICU wants to help my mother to fully recover and get off the ventilator. How can I find out? The ICU Team is Stopping Treatment to my Dad in the ICU. Can I Transfer Him to Another Hospital? 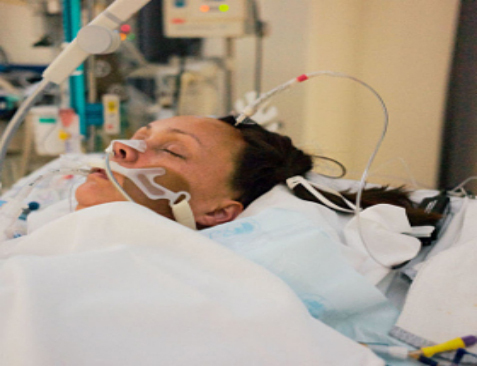 My sister in the ICU Deteriorates With treatment limitations! What should I do? My Husband is with COPD in the ICU. Will He Be Able to Wean Off the Ventilator?